Product #46669 | SKU 19717 | 0.0 (no ratings yet) Thanks for your rating! Enjoy a clever way to show off your tablet. 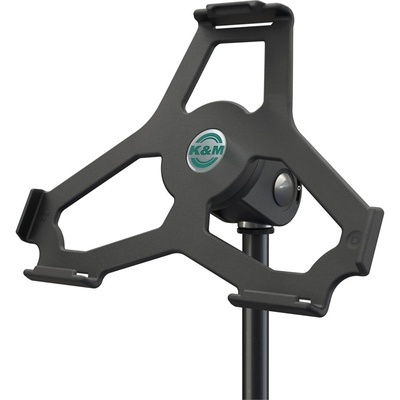 The mount is sure to hold the pad effectively and safely. Suitable for use on stage, in the rehearsal room or at home - the internal thread means, the holder can be attached to any microphone stand easily and quickly. The pad is clipped in and out of the holder effortlessly. An easy-to-use wing nut adjusts the tilt, so the user can easily find a position to suit them. The tablet switches rapidly between the vertical and horizontal format without slipping.